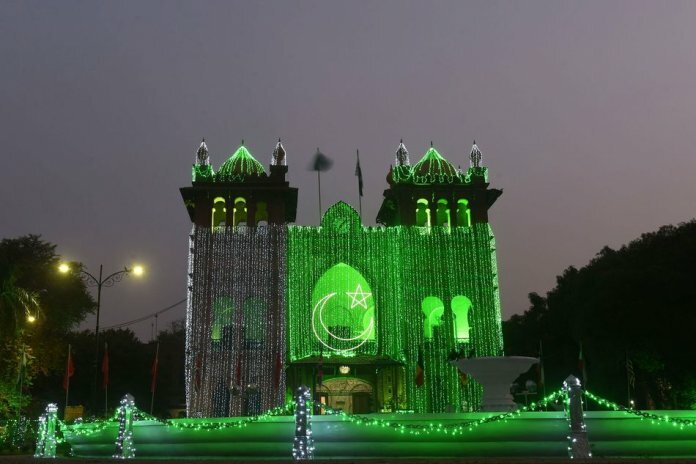 Pakistan is celebrating the 71st Independence day today and it feels like that the entire country is bleeding green. From our social media news feeds to our neighborhood, all you can see is people dressed in green and white, holding Pakistani flags and kids chanting ‘Pakistan Zindabad’ in every nook and corner of the country. Every year Pakistanis celebrate 14th August with full enthusiasm, but this year was more special because all the talk of ‘Naya Pakistan’ since PTI won the election with a swing. Here’s how everyone has been celebrating azadi across Pakistan. Here’s a video from the Wagah border to give you goosebumps! Can we be more proud of our people and our country? The spirit and enthusiasm of the people of Pakistan is incomparable. As they say, we bleed green!